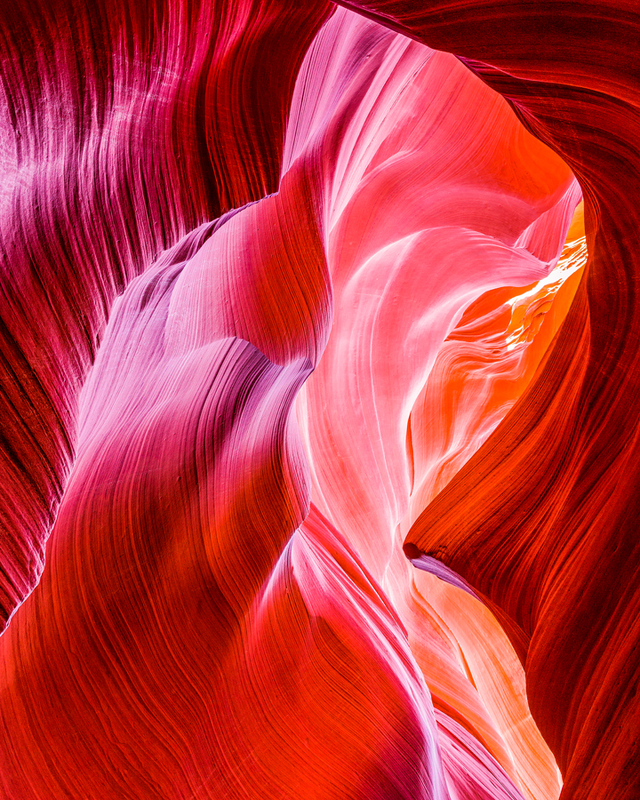 Antelope Canyon has always been one of my favorite places to capture images. Here, I wanted to highlight the grooves and textures of the sandstone and this was the perfect spot to capture them. The water, over millions of years (geological evidence points to about six million years), has forged paths throughout the Antelope Canyon region. The intricacies of that forging can be seen in this image. To highlight the water work that has taken place, I chose a composition that highlights the diversity in this section of the canyon.